Immerse yourself in the inspiring sounds of Harrogate’s ever popular Jazz and Big Band night, at one of the festival’s most eagerly anticipated events. With a celebrated collection of both local and international groups the night is bound to go off with bang! The line-up is confirmed for the big Easter Sunday Jazz and Big Band Night - presented by the brilliant Michael Newby!!! 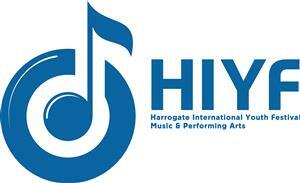 The show plays at the beautiful Royal Hall, Harrogate with cabaret seating and kicks off at 7pm!